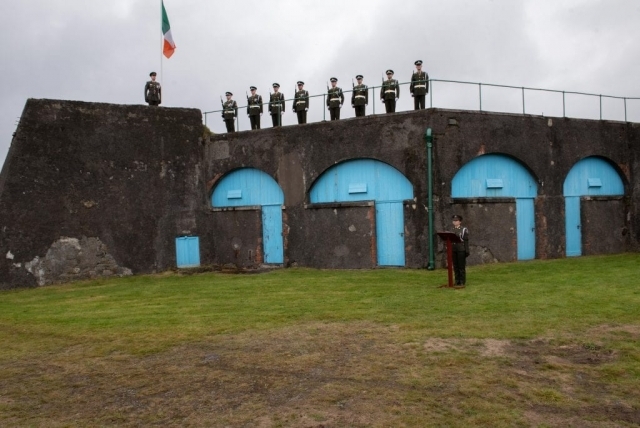 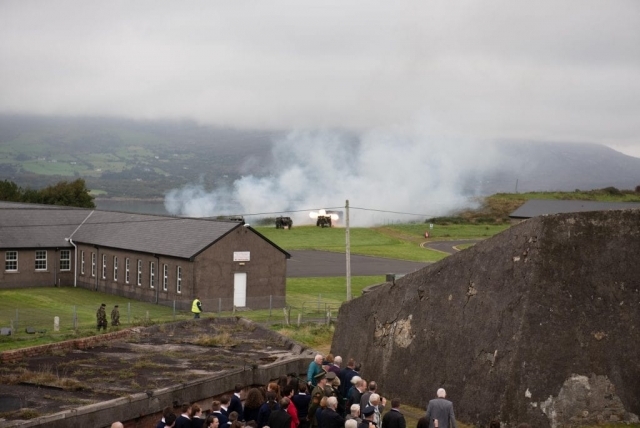 On Wednesday, 26 September, a ceremony was held on Bere Island to commemorate the 80th Anniversary of the handover of Fort Berehaven. 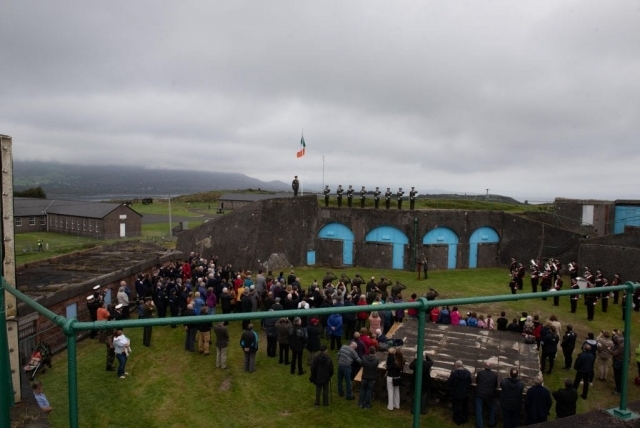 The event was arranged by the Bere Island Projects Group. The ceremonial element of the event was led by 1 Artillery Regiment and took place at the Rerrin Redoubt, the site of the original 1938 handover.. The ceremony commenced with an Honour Guard for the Cork County Mayor, under the command of Sgt Alistair Forsyth. 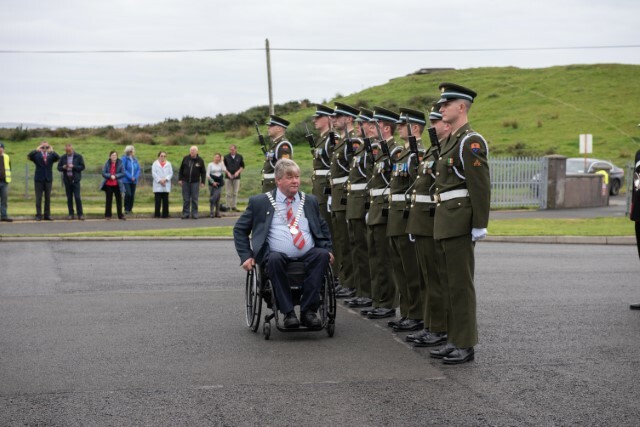 Following speeches, the County Mayor was escorted to the Rerrin Redoubt by GOC 1 Brigade Brigadier-General Patrick Flynn and 2 IC 1 Artillery Regiment Commandant Peadar O’Catháin. 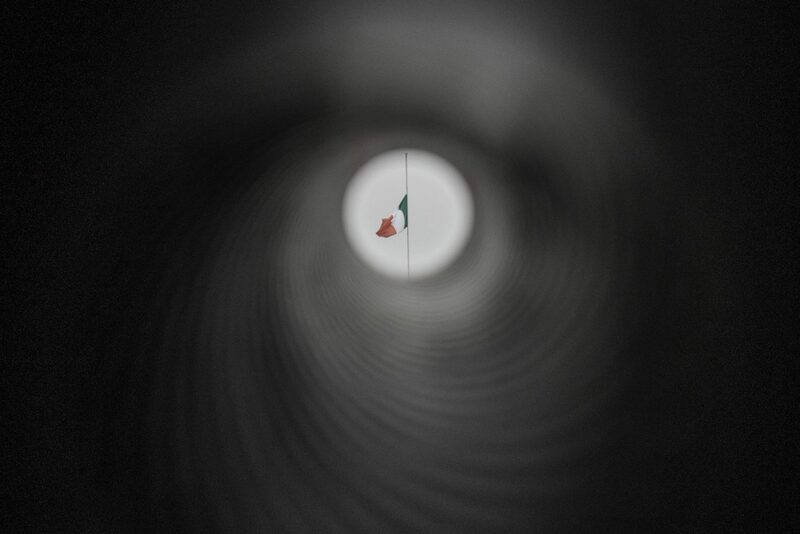 The Last Post was sounded followed by the raising of the National Flag to full mast at exactly 1201hrs . 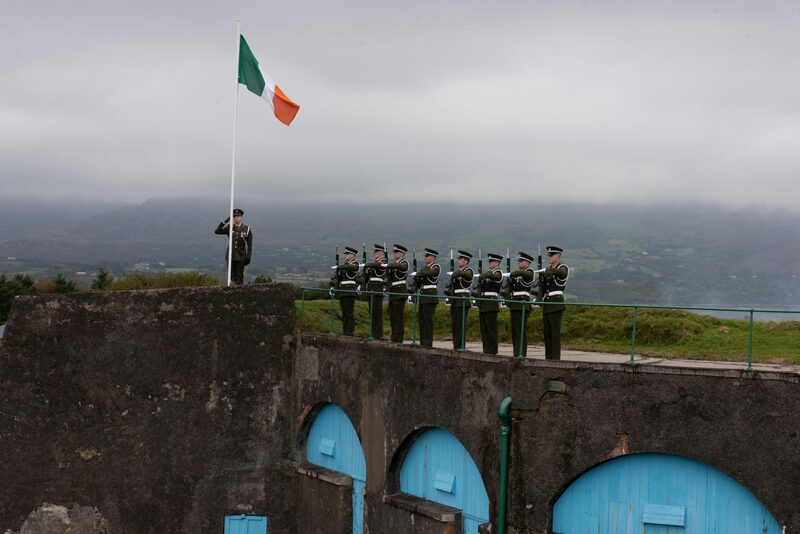 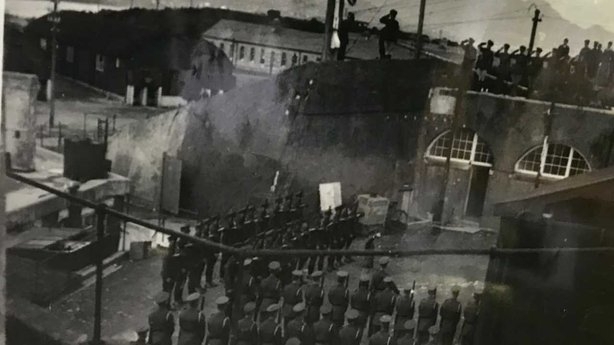 The raising of the National Flag to full mast by Lieutenant James McKeon of 1 Artillery Regiment coincided with the exact time of the handover of Fort Berehaven to Irish Authorities in 1938.